KNOXVILLE -- Junior guard Detrick Mostella has been dismissed from Tennessee's basketball program, the Volunteers announced Tuesday night, less than 24 hours before Wednesday's visit from South Carolina. Mostella's dismissal stems from a violation of team rules, though no reason was given in Tennessee's release. "I've always been very clear about the standards that members of this program will be held to," Vols coach Rick Barnes said in a statement. "Those standards are very high, and Detrick unfortunately has not lived up to them." A mercurial guard capable of catching fire as a shooter, Mostella was tied for second on the team with a 10.5-point scoring average and scored 25 points to lead Tennessee almost single-handedly to a road win at East Tennessee State just before Christmas. After starting the season opener, Mostella embraced coming off the bench and provided consistent scoring in his preferred role. He was averaging a team-leading 12.7 points per game in the past three games and had made multiple 3-pointers in six consecutive games. After joining the Vols during Donnie Tyndall's lone season as head coach, Mostella averaged 3.4 points per game as a freshman and 8.4 points last season under Barnes. 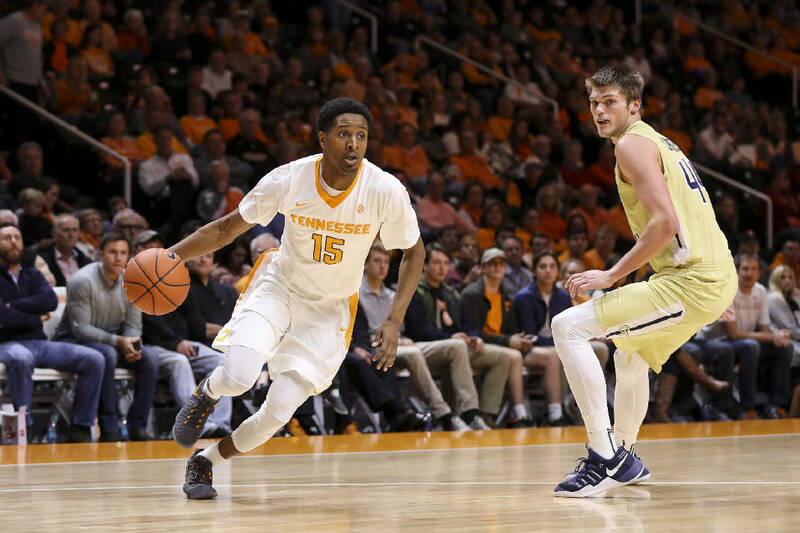 Mostella was one of the team's trio of upperclassmen, though senior forward Lew Evans is in his first year with the Vols after coming to Tennessee as a graduate transfer from Utah State. Tennessee lost freshman forward John Fulkerson to what likely will be a season-ending elbow/wrist injury last month, and now Mostella's exit means other guards like Lamonte Turner, Jordan Bowden and Shembari Phillips, who played less than a minute against Florida on Saturday, will have to pick up the scoring slack.